Designed with women in mind, our dedicated department offers a comfortable and friendly atmosphere. Patients will find the most up-to-date procedures for breast screening and diagnosis. This, together with ultrasound, enables core needle biopsies to be performed using a local anesthesia. In addition, the department is also equipped with a bone density scanner. Experienced and skilled physicians, female mammographers and ultrasound technicians staff the Women’s Imaging Department. Every woman is at risk for breast cancer, screening for risk factors although helpful cannot fully predict whether a woman will develop breast cancer. 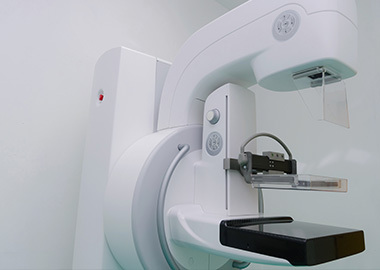 Mammography is the most effective method of early detection, identifying cancer in its most treatable stage. Women 40 and older should include a mammogram as part of a yearly physician routine. Accompanied by monthly breast self-examinations. 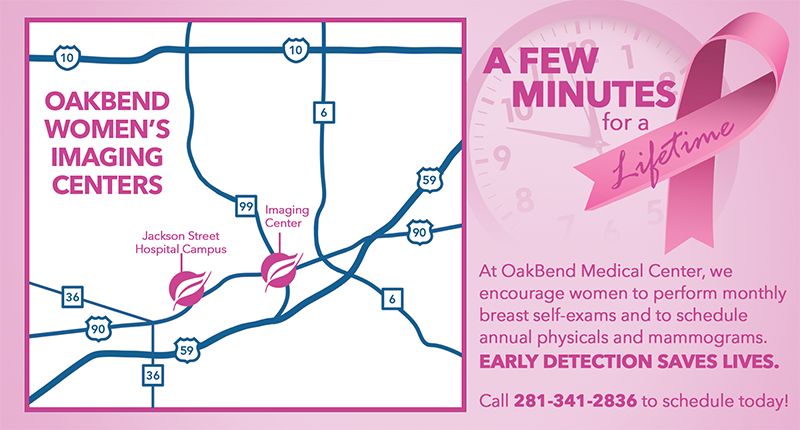 To schedule a mammogram call 281-341-2836. Breast ultrasound may help to determine if an abnormality is solid (which may be a non-cancerous lump of tissue or a cancerous tumor) or fluid-filled (such as a benign cyst). 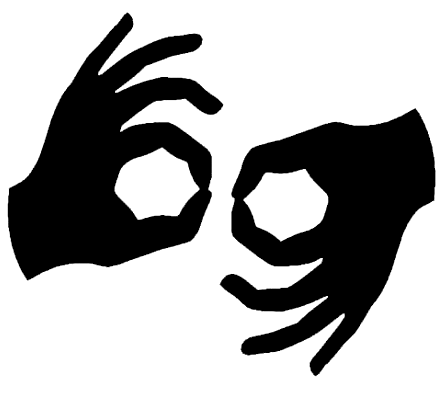 Ultrasound can also assist in showing additional features of the abnormal area. Breast Specific Gamma Imaging (BSGI) is clinically proven to provide clearer and more concise images to women with questionable mammograms. OakBend Medical Center is the first hospital in Fort Bend County to acquire BSGI. Mammograms image tissue densities and whereas BSGI using radioisotopes to detect cancer activity. BSGI can image without compressing the breast and has the potential to significantly reduce the number of invasive biopsies that result in negative findings. Another health issue of particular concern to women is the prevention, detection and treatment of osteoporosis. Half of all women over 50 years have thinning bones resulting in a higher risk of bone fracture. Taking care of your bones starts with a simple, quick and painless bone density test to establish your T-score, which is a comparison of your bone mass with that of a population of normal young women. If your bone mass is 10% or more below normal, you may want to take steps to reverse your bone loss and you should consult your physician. If you have a bone mass which is at least 20% below normal you are considered osteoporotic. Did you know that your risk for osteoporosis increases with age? It increases 58% from ages 50-59, 74% from ages 60-69 years, and 92% for those over 70 years of age.